We require 7 DAYS advance notice on bookings and changes. Once you have booked your party through our system you will have 48 hours to cancel/refund your party with no questions asked. After 48 hours, we issue refunds in emergency situations only but are happy to reschedule your party for up to 3 months after party date should a scheduling conflict arise. Check in time is 5 minutes prior to the start of your selected party time. This is to distribute wristbands and go over final details with your hostess. DO NOT ARRIVE early, you will not be let in the building until your allotted party time. We do not allow in and outs on evening parties. Please plan accordingly. NO OUTSIDE FOOD OR DRINKS PERMITTED. You may bring in ONE cake to a scheduled birthday. No other exceptions. If this written agreement is not adhered to, your party will be cancelled with no refund. The Birthday Party Parent/Host is responsible for the conduct of their guests. Children must be chaperoned at all times. Skateworld will not accept any liability for those children/guests not accompanied by a parent. Each additional person is $14.00. So that we have an accurate count of who is part of your party, no one will be allowed in the party room without a wristband. Non-skating adults are free, but will not be provided refreshments including table settings (available at additional charge). ***If you have people who want to pay separately but still want to be a part of the celebration (i.e. siblings of invitees) please have them pay our hostess the day of the party. Admission discounts, complimentary admission cards, and admissions promotions (such as Groupon) may not be applied to the cost of a Birthday Party. 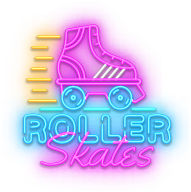 It is the party parent’s responsibility to notify the guests that Skateworld may be taking photographs for marketing purposes during booked parties. If any guest wishes to not be photographed, they must notify your party host(ess) and receive a wristband. Please keep in mind that the tables located in the lobby and snack bar area are reserved for the general public. Please keep all your personal belongings with you. Lastly, Skateworld reserves the right to refuse service to anyone treating Skateworld or its employees in an abusive manner. We are a family run business trying to provide the best possible party for you and your guests! We gladly accept constructive feedback and appreciate your business! Each additional person is $10.00. So that we have an accurate count of who is part of your party, no one will be allowed in the party room without a wristband. Non-skating adults are free, but must adhere to our policies. ***If you have people who want to pay separately but still want to be a part of the celebration (i.e. siblings of invitees) please have them pay our hostess the day of the party. Outside food is permitted except for pizza which must be ordered through us. Prepackaged bottled water and juices are allowed but must be sealed until it enters the rink. No other drinks are allowed in the building. EVERYONE who walks through the door is counted towards the admission total. Each additional person over the 100 people is $5 per person for any party starting before 5pm and $6 per person for any party starting 5pm or later. Skate Mates and other extras can be purchased by you or attendees at an additional cost. Check in time is no more than 5 minutes prior to the start of your event. While we will do our best to accommodate, we cannot guarantee that anyone will be allowed inside before the start of the allotted party time. If you need to set up, we allow two people in the building to do so. You are required to vacate the building no more than 10 minutes after your event time. Failure to do so will result in a $125.00 late stay charge. ABSOLUTELY NO ALCOHOL. Managers have the right to refuse admission to anyone who is under the influence of alcohol or any illegal substance. We require two weeks advance notice on bookings and changes. Once you have booked your event through our system you will have 48 hours to cancel/refund your event with no questions asked. After 48 hours, we issue refunds in emergency situations only but are happy to reschedule your party for up to six months after event date should a scheduling conflict arise.